Dr. Marcia Blazer can help you achieve a more beautiful smile with professional teeth whitening at her Scottsdale practice. This treatment can make a significant impact on your appearance and increases your self-confidence. Everyone wants a beautiful smile. At our Scottsdale practice, Dr. Marcia Blazer provides teeth whitening for patients who are unhappy with the color of their teeth. Our patients leave extremely satisfied, often with a completely new perspective on their cosmetically enhanced smile. Teeth whitening is a very simple procedure. 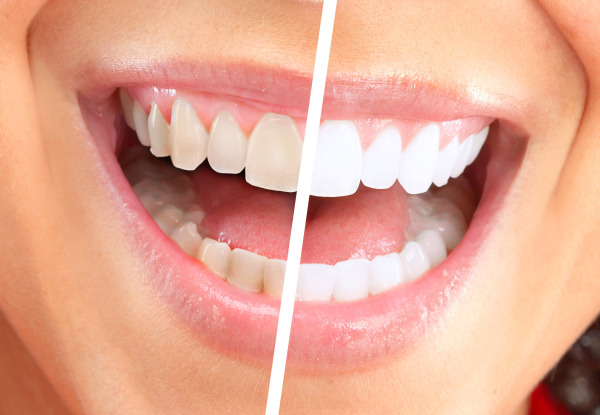 There are two options for tooth whitening in our office. Both involve fabrication of custom made whitening trays. These are made of very thin, pliable, clear plastic. Once you have these trays made, you can use them indefinitely with purchase of take-home whitening gel. There is no product that permanently whitens teeth, unfortunately, but using our take-home whitening gel periodically inside custom whitening trays is the best method to keep your smile bright! For those of you who want faster results, instead of using our take-home gel, you can elect to use our strongest gel concentration for a 30 minute "touch up" whitening process while relaxing in the office. Chairside whitening delivers immediate results that are impressive! Many of our patients choose to whiten their teeth prior to a job interview, photo session, or major event. We often treat recent graduates who want to boost their confidence before entering the workforce. We also have specials for wedding and bridal parties. Whitening gel only works on natural teeth, and will not change the color of crowns, veneers or fillings. Dr. Blazer can help you decide if it makes sense to whiten your teeth before replacing some of those yellowed old crowns or fillings. Teeth whitening works by penetrating the outer layer of your enamel. It is completely safe, and will not harm your teeth or existing restorations in any way. For intrinsic discoloration caused by dental trauma, early exposure to antibiotics, medications, or medical conditions, whitening is not as effective and veneers are a better choice. For over 30 years, Dr. Marcia Blazer, DDS and her staff have provided North Scottsdale with teeth whitening services that meet the individual needs of our patients. If you are looking to improve your smile with a teeth whitening treatment, contact us today! "Love the Boost whitening! After only 2 treatments I can see a big difference! (I think I'll do one more). Great whitening option! Glad you told me about it. Thxs!"